I was given the chance recently to try Cocogo. 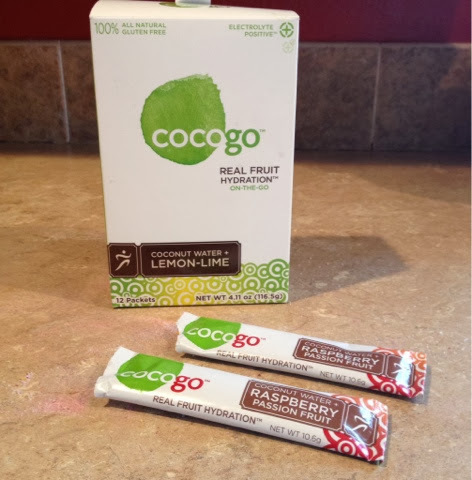 I was sent a box of Cocogo free to try out, but all opinions expressed are my own. I am a fan of nearly everything coconut. I am going to assume you have heard about the wonders of coconut water by now, all those great electrolytes, good for rehydration, etc. I enjoyed all the flavors. If I had to pick a favorite it would be the raspberry-passion fruit. Amazing good flavor without being overly sweet. So what is Cocogo you ask? It is a real fruit hydration powdered drink mix. 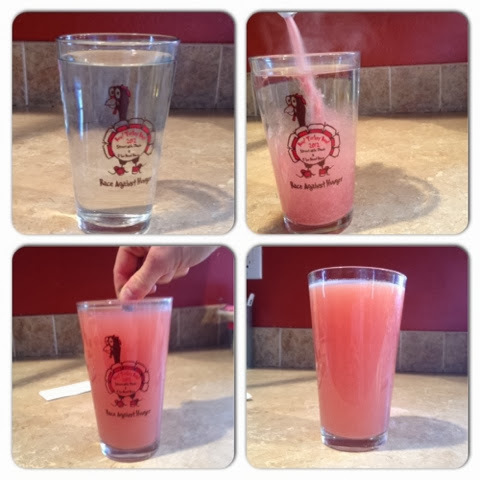 They flash freeze dry the coconut water and fruit juices into a convenient to pack around powdered form. Since not everyone has water bottles that are 14 oz containers they even have a great graphic that helps you figure out how much you want to mix. Here is part of the graph. The most I tried was 2 packs added to 14 oz of water. I like my water lightly flavored when working out. I was even happy just adding one pack to my water. I don't get as many electrolytes that way, but I still liked the flavor. If you want to see how it stacks up to other electrolyte replacers check out this graphic. 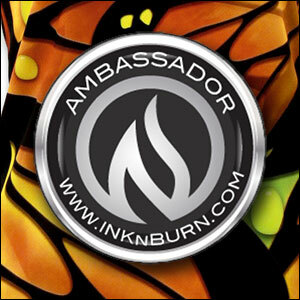 Want to try some for yourself? You can get 40% off when you use code 40COCOGO or free shipping with code FRSH4COCOGO at store.cocogo.com checkout. I have already ordered some more Raspberry-passion fruit and Grape. 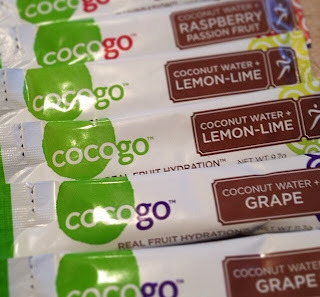 or you could be one of two lucky winners as Cocogo is offering two of my readers a chance to try it out for themselves. sorry foreign peoples, entrants from the US only. I think I would go with the raspberry-passion fruit! Raspberry passion fruit sounds good. If there is anything I like more than anything coconut is anything passion fruit. This sounds so good! And for someone who gets tired of plain water this would be a welcomed change. Lemon lime would be the first I would try but they all sound good. Lemon lime would be my first choice. I would try grape first. Raspberry passion fruit for sure! Raspberry Passion Fruit sounds the yummiest to me! Oh that sounds awesome!! I am gonna have to give it a try soon! Raspberry berry passion fruit,raspberry passion fruit!